Archaeologists concluded that thousands of discarded shells at a site in downtown St. Thomas in the U.S. Virgin Islands are evidence of ancient Saladoid children foraging for shellfish. West Indian top snails, like the modern specimen pictured here, were the most common mollusks at the site. Credit: Florida Museum of Natural History. 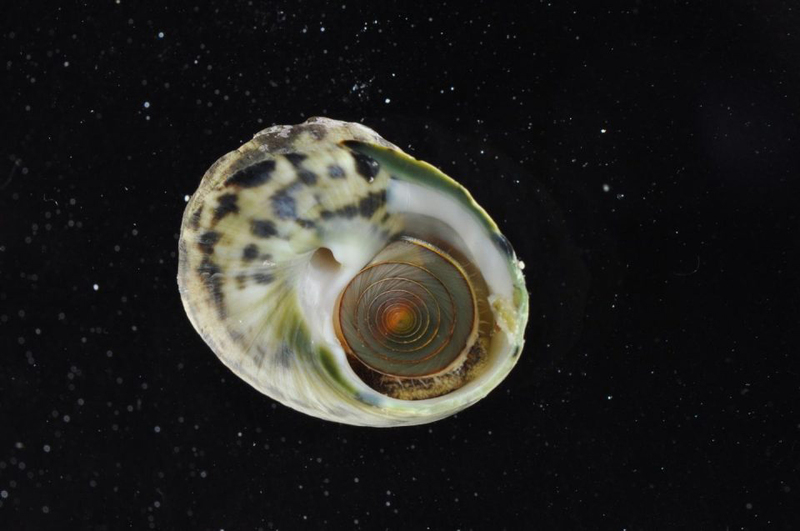 Researchers have long thought that snail and clam shells found at Caribbean archaeological sites were evidence of “starvation food” eaten in times when other resources were lacking. Now, a University of Florida study suggests these shells may be evidence of children helping with the grocery shopping – A.D. 400 style.